Careers - Secure our city " "
Commission based Business Development position supporting the rapidly growing Technology Design Market. 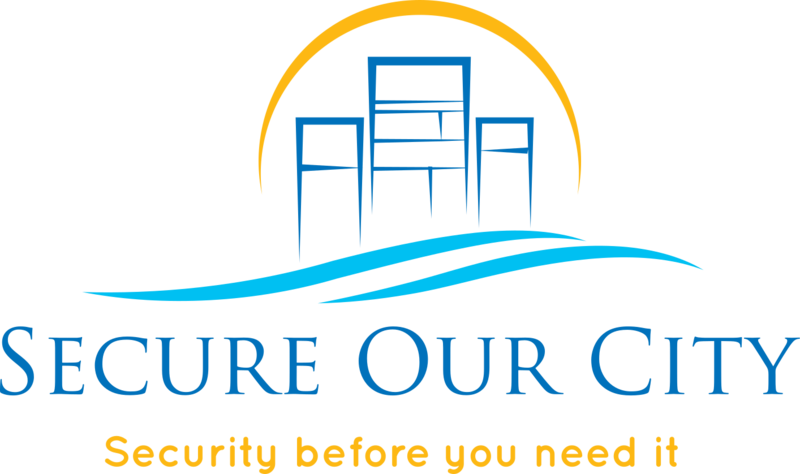 Secure our City is a Technology Design Company that designs low voltage solutions for life safety, education, government/municipal, healthcare, multi-family, and corporate buildings. Although security systems are our foundation, we also address VOIP, Wi-Fi, Smart buildings, Nurse Call, PA/Emergency Notification, and RFID, to name a few. The ideal candidate will possess a high energy level, outgoing personality and be results oriented, with demonstrated success in sales. (Experience in the security sector is a plus). 3 or more years of successful outside sales experience (security sector is a plus). Existing network across multiple sectors is a big plus. Skilled at cold calling and securing sales from small business accounts. Identify prospects, customers, and referral sources while developing and maintaining excellent relationships. On-going sales training are provided. Our culture is one of innovation, empowerment, integrity and trust. We are looking for someone to uphold our values and are eager to grow and develop their careers with us. Looking for someone with a competitive drive and strong desire for success to achieve assigned revenue targets by selling Secure Our City’s product offerings. Prospect and develop new accounts. Ensure Quality Control of finished projects, manage relationships and document status regularly. Set up Lunch and Learns. The position is commission based at the beginning. Once a book of business is built we will switch to a lower commission with a base. Hours are flexible either part time or full time during sales cycle. Commission ranges from 40-50% on net sales. Candidate will receive initial leads in the respective markets. Our company has a comprehensive resource for leads.. These Terms and Conditions shall control the Scope of Work with respect to any project development services to be performed by the General Contractor for or on behalf of Secure Our City, Inc. (“SOC”) and SOC’s client (“Client”). These Terms and Conditions replace and supersede any and all other agreements and Terms and Conditions between the parties that conflict with these Terms and Conditions. These Terms and Conditions shall control the parties’ relationship going forward on all matters and can only be replaced or modified by SOC or by way of a writing executed by SOC. All work and services provide to the Project as part of the General Contractor’s project development services shall be performed in the highest workman like manner. All materials and goods provided for use in the Project shall be of the highest grade and quality. General Contractor will ensure all manufacturer warranties are assigned to the Client, as well as all software and other applicable licenses. The General Contractor understands and agrees that time is of the essence and that it will deliver it project development services in accordance with all schedules and milestones agreed to by the parties. General Contractor shall comply with all specifications, plans, requirements and drawing provided directly or indirectly by SOC or the Client with respect to the Project. The General Contractor shall immediately notify SOC of any problems, inaccuracies, mistakes or defects in any specifications, drawings, or requirements provided to the General Contractor with respect to the Project. General Contractor shall use its best efforts to correct or compensate for any defects, problems, inaccuracies or mistakes in any specifications, drawings or requirements. General Contractor represents that it has reviewed and understands each of the terms and obligations set forth herein and will comply with said terms and obligations. General Contractor represents and warranties that it and its subcontractors and vendors have the requisite know-how, skills, abilities, knowledge, resources, manpower, and financial capabilities to perform the Scope of Work. The Scope of Work shall be set forth in writing. Any changes or material modifications to the Scope of Work shall be in writing signed off by SOC. The General Contractor represents and warranties that it, as well as its subcontractors and vendors, shall at all times hold and maintain in good standing all licenses required of the jurisdictions in which the Project is located and the work is being performed. The General Contractor is responsible for obtaining and maintaining all permits necessary for it and its subcontractors and vendors to provide services, goods and materials for use in the Project. SOC is only responsible to pay General Contractor fourteen (14) calendar days after SOC is paid by the Client for said services and material. As a condition of payment, General Contractor must provide to SOC lien releases from each of its subcontractors and materialmen, which are in a form and content satisfactory to SOC. General Contractor, as well as its subcontractors and vendors, are not partners or employees of either SOC or the Client. General Contractor is responsible for the proper classification of and the payment of wages to its employees, and those of its subcontractors and vendors. General Contractor is further responsible for payment of all payroll taxes, maintenance of health insurance and workers’ compensation insurance as required by law. General Contractor shall fully indemnify SOC and Client against all employment related claims, including, but not limited to, joint employer liability, discrimination, retaliation, maternity leave, FMLA, leave rules and regulations of a given state, misclassification, wage and hour claims, and any other employment claims of any nature brought by any person working directly or indirectly for Client or its vendors or subcontractors. General Contractor shall indemnify SOC and/or Client with respect to any and all claims brought or asserted by way of a court action, arbitration, mediation, before or by a governmental body, or by way of a verbal or written threat to sue by a third party, governmental body or by the Client against SOC wherein damages, injunctive relief, equitable relief or governmental penalties or fines are sought, irrespective of whether General Contractor or its subcontractors and vendors are partially or totally at fault, that arise from or relate to the Project. General Contractor shall indemnify SOC and/or Client against any all claims of any nature brought or asserted in or out of court by any of General Contractor’s subcontractors or vendors regarding the Project. General Contractor shall further indemnify SOC and/or Client against any claims, fines, sanctions, penalties or investigations threatened, brought or asserted by any governmental body or agency. Upon receipt of a notice for indemnification by SOC or Client, the General Contractor shall pay all past, current and future attorneys’ fees and costs incurred by SOC and/or Client, as well any costs associated with the hiring of experts and accountants. General Contractor shall further indemnify SOC and Client and pay all damages, settlements, judgments, verdicts, awards, fines, penalties and sanctions threatened or rendered against SOC or Client for which General Contractor agrees to indemnify SOC and Client as set forth herein. General Contractor shall maintain at least $_________ in general liability insurance and SOC and the Client shall be named insured on the policy or policies. General Contractor, as well as its subcontractors, shall maintain workers’ compensation insurance on all employees that complies with the laws of the state in which the project is being performed. SOC and the Client shall also be a named insured on these workers’ compensation policies of insurance. General Contractor, and its directors, managers, agents or employees shall not disparage or speak negatively of the business reputation of SOC or the quality of its products or services. General Contractor shall not engage in any postings or commentary on social media or the internet in general that mentions or concerns SOC without SOC’s prior, written approval. The General Contractor shall not speak with a member of the press or news sharing entity regarding SOC without the expressed written consent of SOC. The General Contractor shall be liable for any all damages, including consequential damages, lost profits and lost business opportunities, as well damages for intangibles such as damage to reputation. The General Contractor may not assign this Agreement or any of its obligations or rights under this Agreement. SOC may assign this Agreement and any of its rights and obligations hereunder at any time without the consent of or notification to the General Contractor. The Owner is an intended third party of this Agreement. The General Contractor shall comply with all bonding and other financial requirements of the Owner and SOC as may arise from time to time. General Contractor shall be liable for financial penalties for failure to comply with the deadlines set forth in Project schedules. For each day that the General Contractor misses a deadline, it shall pay SOC $100. This penalty may be deducted from any payments due General Contractor by SOC. Any dispute arising under this Agreement shall be governed by the laws of the Commonwealth of Massachusetts. Any civil action is brought under or related to this Agreement shall be brought before a Massachusetts court of competent jurisdiction. All parties waive objections to Massachusetts being the proper jurisdiction or venue for the maintaining of any civil action arising under or related to this Agreement. If SOC is successful in the prosecution or defense of an action arising under or related to this Agreement, it is entitled to recovery its attorneys’ fees and costs. By providing project management services to SOC, General Contractor acknowledges it has read, understood and agreed to each of the terms and obligations set forth in these Terms and Conditions. These Terms and Conditions control any and all Maintenance Agreements between Secure Our City, Inc. (“SOC”) and the Client being served by SOC. These Terms and Conditions replace and supersede any and all other agreements and Terms and Conditions between the parties that conflict or are inconsistent with these Terms and Conditions. These Terms and Conditions shall control the parties’ relationship going forward on all matters and can only be replaced or modified by SOC or by way of a writing executed by SOC. SOC is responsible for notifying Client of malfunctioning equipment, cameras or security systems covered by the parties’ Maintenance Agreement. SOC does not guarantee the performance or condition of any equipment or systems or warrant that equipment or systems are free from defect. SOC is not responsible for providing or replacing any cameras, equipment or security systems. SOC is not responsible for any harm, injury or lose arising from the non-performance or malfunction of any equipment, cameras or security system that SOC is monitoring. SOC is not responsible for any consequential damages, lost profits or intangible damages arising from or under any Maintenance Agreement or these Terms and Conditions, as well as SOC’s failure to perform any condition, term or obligation herein. The extent of SOC’s financial liability to the Client under the Maintenance Agreement and these Terms and Conditions shall be limited solely to the return of six (6) months of fees paid by Client. Client shall indemnify SOC with respect to any and all claims brought or asserted by way of a court action, arbitration, mediation, before or by a governmental body, or by way of a verbal or written threat to sue by a third party, governmental body against SOC wherein damages, injunctive relief, equitable relief or governmental penalties or fines are sought, irrespective of whether General Contractor or its subcontractors and vendors are partially or totally at fault, that arise from or relate to the Maintenance Services provided or offered by SOC. Client shall further indemnify SOC against any claims, fines, sanctions, penalties or investigations threatened, brought or asserted by any governmental body or agency. Upon receipt of a notice for indemnification by SOC, the Client shall pay all past, current and future attorneys’ fees and costs incurred by SOC, as well any costs associated with the hiring of experts and accountants with respect to the matters covered by the claim of idemnification. Client shall further indemnify SOC and pay all damages, settlements, judgments, verdicts, awards, fines, penalties and sanctions threatened or rendered against SOC or Client for which General Contractor agrees to indemnify SOC as set forth herein. Any dispute arising under this Agreement shall be governed by the laws of the Commonwealth of Massachusetts. Any civil action is brought under or related to this Agreement shall be brought before a Massachusetts court of competent jurisdiction. All parties waive objections to Massachusetts being the proper jurisdiction or venue for the maintaining of any civil action arising under or related to this Agreement. If SOC is successful in the prosecution or defense of an action arising under or related to this Agreement, it is entitled to recovery of its attorneys’ fees and costs. By providing project management services to SOC, Client acknowledges it has read, understood and agreed to each of the terms and obligations set forth in these Terms and Conditions. Client, and its directors, managers, agents or employees shall not disparage or speak negatively of the business reputation of SOC or the quality of its products or services. Client shall not engage in any postings or commentary on social media or the internet in general that mentions or concerns SOC without SOC’s prior, written approval. The Client shall not speak with a member of the press or news sharing entity regarding SOC without the expressed written consent of SOC. The Client shall be liable for any all damages, including consequential damages, lost profits and lost business opportunities, as well damages for intangibles such as damage to reputation. The Client may not assign this Agreement or any of its obligations or rights under this Agreement. SOC may assign this Agreement and any of its rights and obligations hereunder at any time without the consent of or notification to the Client. There are no intended third party beneficiaries to this Agreement. By accepting maintenance services from SOC, Client acknowledges it has read, understood and agreed to each of the terms and obligations set forth in these Terms and Conditions.